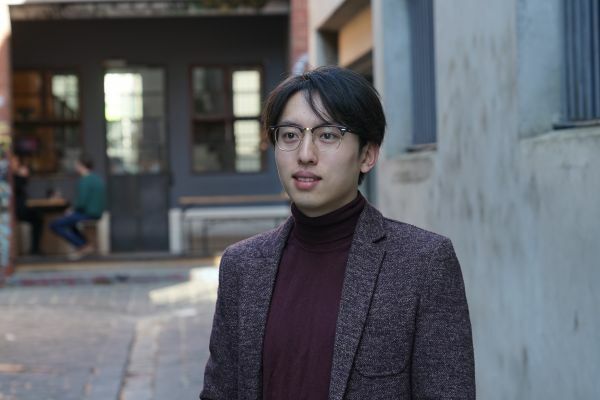 Zelin Chen is a final year student, and tutor in the Master of Applied Econometrics, a course he discovered after moving to Melbourne and beginning his studies in another program. It’s a course that has offered Zelin a treasure trove of opportunities. I moved from Canberra three years ago to do a post-graduate degree here at the University of Melbourne. It’s not uncommon, lots of Canberrans make the move, but it’s a big city and when I stumble across someone who’s followed the same path, I get a little giddy. I always find myself asking them why they came to Melbourne – usually, it has to do with education, job opportunities, or food. This is what happened when I met with Zelin Chen. He moved from China to Canberra, where he went to the ANU, before coming to Melbourne for his post-graduate studies. This shared experience is just a bonus, what makes Zelin’s story interesting, is what he discovered when he got here. But what was it about the Master of Applied Econometrics that won Zelin over? In addition to his studies, Zelin has taken on work as a tutor in the Applied Econometrics program, an experience that has given him a more comprehensive understanding of the subject. Ultimately, it’s the MBS community that sets the experience apart, along with the resources that come from attending the University of Melbourne.